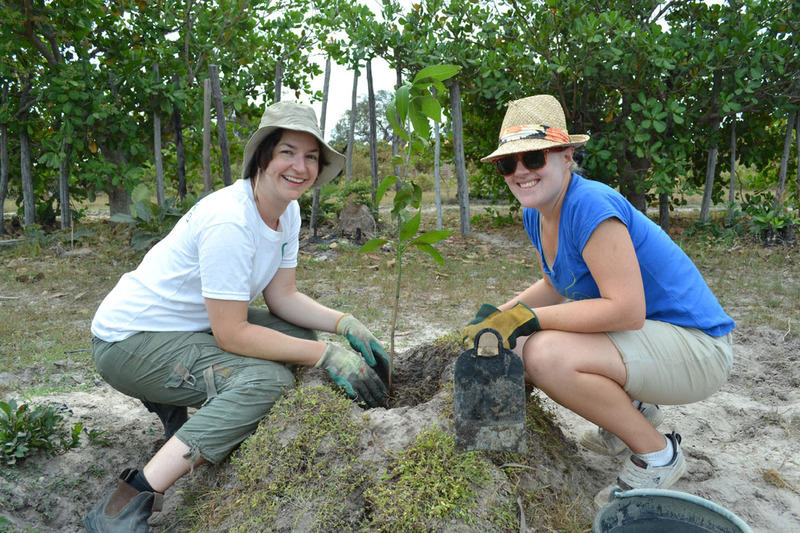 Volunteer Life in Pictures #6: Volunteers also engage in a fair bit of tree planting. In this case it's mango trees. Mango trees cost only 75cents!!! Yes, 75cents. In 2-3years the tree will start fruiting providing nutritious mangoes for the students. Claire and Sophie have named this particular mango tree, Clophie. That is such a beautiful and creative name.